Long time readers of this blog will be acutely aware of the irony of that statement, for if anything, it was we three Fellows who should have thanked them so graciously. Three years later, my time in Acarigua remains one of the most formative experiences I have had in the sphere of social action through music. It is one thing to give a few lessons or a Masterclass, to lead a single rehearsal, and quite another to have the responsibility for three to four hours of rehearsal every day for weeks. 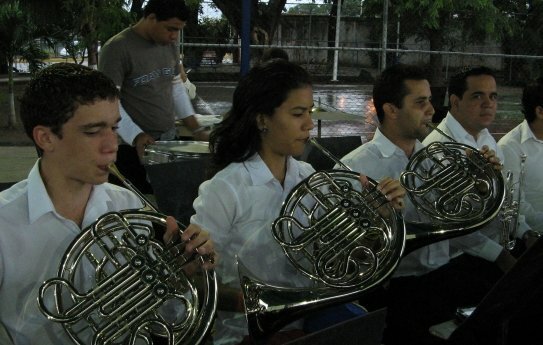 My practice in the sphere of Sistema continues to give impetus to my research and my writings, and the ongoing process of reflecting upon or re-evaluating all those experiences in Venezuela and beyond continues to shape my understanding of both the ethics and mechanics of transforming a society through music. From Prince George, the musicians will then travel 500 miles (800km) south to Vancouver where they will be the guests of the Saint James Music Academy, the primary Sistema program of the Lower Mainland. They’ll be busy, integrating within the daily life of a Canadian núcleo and interacting with Canadian youth for a week, while I lead some faculty teacher-training. Hopefully they’ll have some time to sight-see too. Neither the PGSO nor the SJMA could have justified doing this on their own, but these two disparate organizations came together and found a way to make this very ambitious project work. Ruth Langner, project lead in Prince George, and Kathryn Walker, Director of SJMA, have put countless hours into fundraising and coordinating these two weeks… hours above and beyond such sundries as, let’s say, the full-time requirements of running a Sistema program. Ruth has even invested her own personal funds into the project. I can’t thank them both enough: the level of commitment has been extraordinary. Samuel Vargas, left, and Carmen Delgado, right. And for the record, it had to be. On January 29th, the Canadian Embassy in Caracas closed its visa section, consolidating regional operations in Mexico City. On February 8th, Venezuela devalued its currency, making international plane tickets 50% more expensive overnight. And then on March 5th, Hugo Chávez passed away, bringing the entire nation to a standstill. Every unforeseen event has forced roster changes, cancellations, cost increases, and yet this project has persevered. 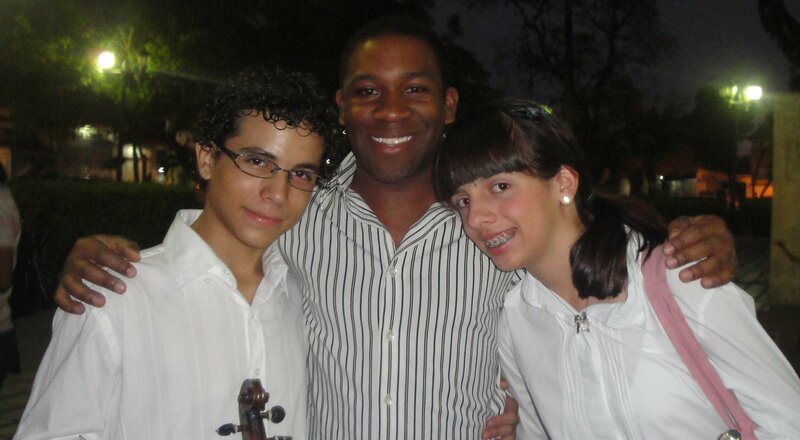 In my article “The Five Fundamentals of El Sistema” I wrote “Social change comes through the pursuit of musical excellence, with the discipline it demands and the emotional bonds it creates through mutual struggle and celebration.” We have struggled. Hemos luchado muchos. Now it’s time to play. Ahora Tocamos. Good Work Jonathan. Looking forward to seeing you and the musician from Venezuela. Nobody has castigated me yet for getting Saint-Saëns’ name wrong twice. Whew!